File management is an area of office work where a lot of time gets lost. 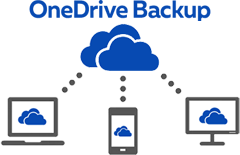 In Part 1 of our blog series on OneDrive, we discussed why OneDrive has emerged as the leading cloud solution for users looking for convenient storage that's also secure. Is This the Year Everyone Realizes What a Great Cloud Solution OneDrive is? 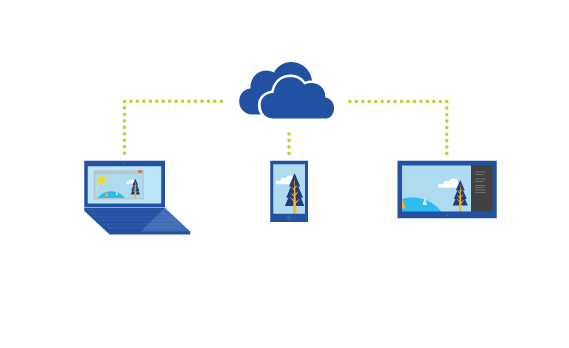 If you're looking for an easy way to share your files to the cloud then OneDrive is the answer. It may have taken awhile for OneDrive to distance itself from Dropbox, iCloud, and Google Drive, but it has become the safe and effective cloud storage choice for both casual and power users. Mac OSx users will also no longer feel like left out. We'll be discussing some Mac specific OneDrive uses in Part 2 of this blog. 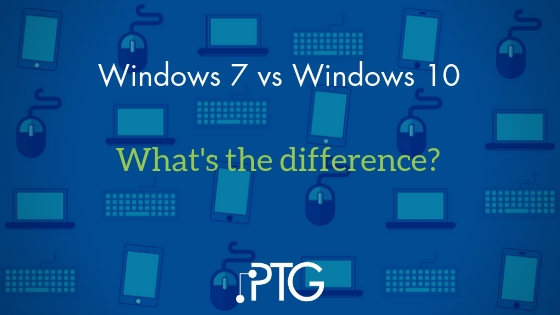 Windows 7 vs Windows 10: What’s the difference? If you're a Windows 7 user, you may have already heard that mainstream support for Windows 7 has ended and security updates will stop in 2020. This means the time to upgrade to Windows 10 is now. For the most part, Windows 7 was a reliable operating system. However, you will really enjoy the user-friendly components and increased security that Windows 10 provides. Microsoft kicked off 2017 with updates geared towards integrating existing products to making working from any location and any device easier and safer. They also released a new product designed to make managing shift employees easier. It was another big month for Microsoft updates reaching all of the client platforms they support. Where should I put my stuff in Office 365? A common question we get from customers is: "Where do I stick my stuff in Office 365 – Where do I store my files and how do I share with others?" With all the options for places to store things and communicate in Office 365, it’s a fair question and, unfortunately, there isn’t a straight forward answer. Moving to the cloud can be a big change for any business, no matter the size. Office 365 can be an incredibly powerful service for your business – the key word here is can. It isn't always right for every company. If you're considering Office 365 (or another cloud service), doing an Office 365 trial is your best bet for figuring out if it's right for you. Here are few things to try during your trial to see if it’s a good fit for you.